Description: Book has a little wear to board edges and spine edges. Wear with a tiny bit of exposed board at fore edge corners. A couple small lines of writing on ffep. All other pages are unmarked. Biblioteca Ayax. 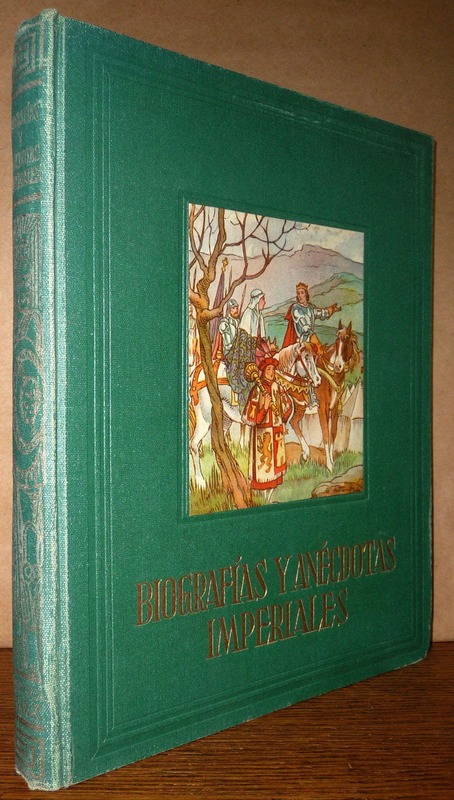 Vida y anecdotas principales de las figuras cumbres del Imperio Espanol. Laid in is the advertising flier for the "Biblioteca Ayax." Front hinge is intact, but fragile. Spanish language.